Why We Love It - Smaller group and more intimate way to explore the underwater crater! Includes everything from reef-safe sunscreen and premium snorkel gear to adult beverages, breakfast, and lunch! 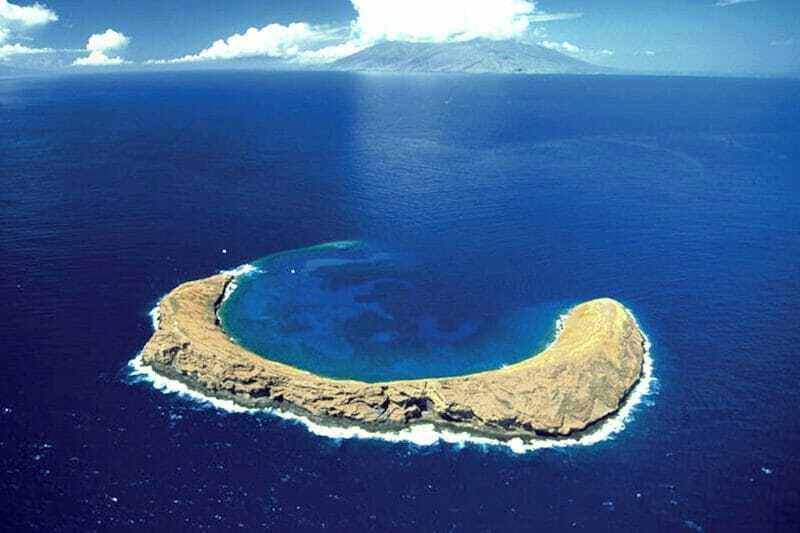 Explore the iconic crater of Molokini with our eco-tour. The best diving and snorkeling destination in Maui is this gorgeous reef, popular for its abundant coral, clear water, resting seabirds and colorful fish. This flexible adventure also includes a visit to a second snorkeling destination, like Turtle Arches, and you will get to cruise along the coastline of Maui. You will enjoy a continental breakfast and sumptuous lunch prepared onboard. All adventures carry a maximum of 38 guests on our Ocean Explorer, the catamaran that offers unimpeded views with open seating. You will have sufficient room to enjoy the stunning views and move around. We do not recommend this tour for pregnant women, non-swimmers, individuals with heart conditions, or people who have back, neck or knee problems. Kids below 7 are not allowed. Length is 54'. We limit 34 passengers although boat certified for 49. As an intermediate to advanced snorkel adventure, this trip is not recommended for non-swimmers, pregnant women, people with heart conditions, or anyone with neck, back or knee problems. Children under 7 are not permitted. We took the Molokini Wild Side trip yesterday and were absolutely thrilled with our experience! This is a smaller boat accommodating 38 people and it had a nice small-group vibe. The all-women crew was knowledgeable, friendly and lots of fun! They took us to the reefs on both the front and back sides of Molokini. The reefs and the fish were stunning. The deep blue and aqua water provided the perfect backdrop. It was a great advantage to be on this small boat that was able to get in closer to the island on both sides. Our final stop was another reef just off the beaches at Makena Park. Here we saw a manta ray in addition to the gorgeous reef creatures and fish. Nice surprise! Following our third dive the crew cooked and served a yummy lunch on board the boat. Beer and wine were available as well as a variety of soft drinks and juices. The boat has a nice setup with comfortable seats with backs and padding. There are no obstructed views, so no matter where we sat, we could see everything around us. We caught up with a group of dolphins at one point and the captain maneuvered the boat so everyone got a good view. Another advantage of this trip is that it is run by a non-profit organization that supports wildlife conservation efforts throughout the Pacific. The crew members are all degreed professionals in some specialty of marine science. They can answer all your questions, and they are eager to share their knowledge! We left with wonderful memories and a better understanding of the ocean world that surrounds Hawaii. It also felt good to support an organization that is helping the environment. We highly recommend this trip and look forward to doing it again on our next visit to Maui! We took the Molokini Wild Side trip and loved it! The snorkeling was great, the food excellent and the crew were all incredibly friendly, informative and attentive. My sole complaint was that the boat used for this trip has no canopy and thus, no chance to get out of the sun for the duration of the trip. It's a pretty long time to be in non stop sun. Still, that's a small complaint for an otherwise wonderful tour! We were recommended the MOLOKINI WILD SIDE SNORKEL and it was absolutely worth it. 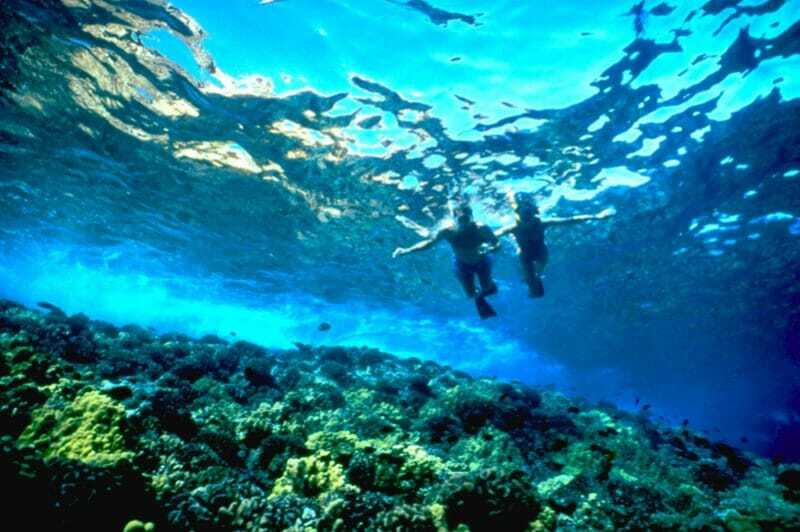 The must do tour if you are looking for the best snorkel in town with an acknowledgable crew. We were lucky to have Aaron, Josh, Emily. All of them were extremely helpful, resourceful and willing to assist at anytime. We learned quite a big deal and left feeling more connected to the ocean. We actually become members and adopted a turtle after the tour. What I loved the most was the sustainability and the care of the foundation, all profit goes to research and much more. I don't have enough words, you should do this tour with no doubt.